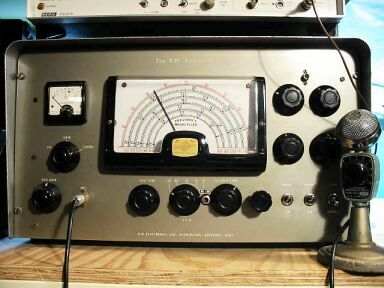 The KW Vanguard is an all valve amateur radio transmitter. Covering the amateur bands 160, 80, 40, 20, 15 & 10 meters. Using a 6146 in the PA. The frequency is generated by a Geloso VFO. l0m. band: 28.0 - 29.8 mc/s. 15m. band : 21.0 - 21.6 mc/s. 20m. band: 14.0 - 14.4 mc/s. 40m. band: 7.0 - 7.45 mc/s. 80m. band: 3.5 - 4.00 mc/s. 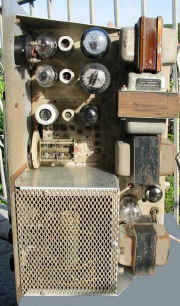 50 watts Phone or C.W. P1 Section filter (variable impedance) Co-axial socket for aerial. Plate and Screen modulation, up to 100 per cent. Separate H.T. supply for modulator. High impedance for crystal mic. Selected by means of a switch. at least I have never seen one. 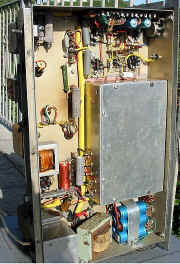 The compilation we have covers both models including the Circuits. With & without the PA Clamp Valve. I have 30 pages on the KW Vanguard including layouts. 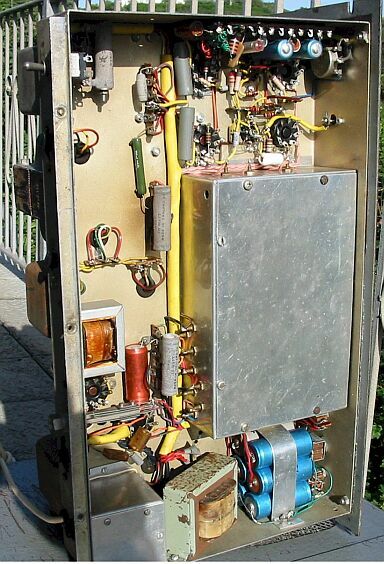 Circuits for the main transmitter PA and power supply covering both models, including the Circuits with & without the PA Clamp Valve.